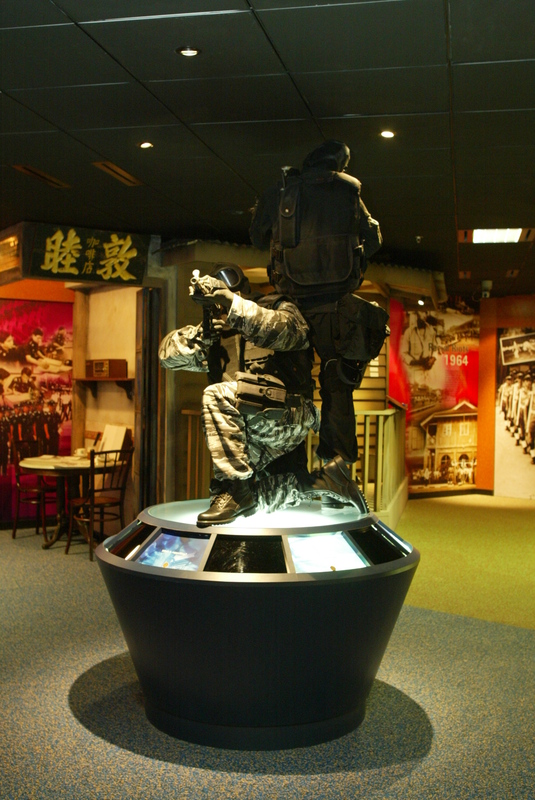 This gallery honours officers who have died in the line of duty, and those who have received conspicuous awards for their acts of gallantry. 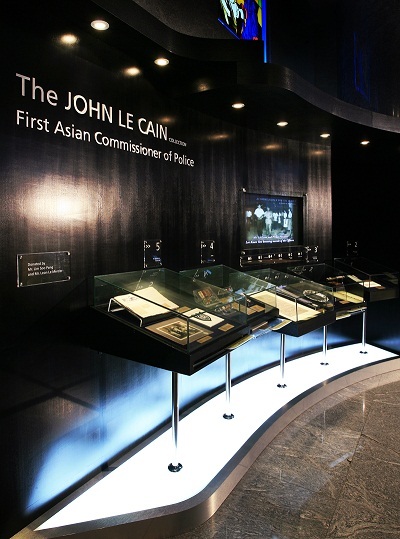 Learn also about our first three local Commissioners of Police, Mr John Le Cain (1963-1967), Mr Cheam Kim Seang (1967-1971) and Mr Tan Teck Khim (1971-1979) here. Learn more about the men of vision who played a significant role in the development of SPF. Also on display is the SPF's Collection of Ranks and Insignias, which showcases the transformation of the police uniform and its badges of rank as the Force evolved over the years. Singapore's first police force in 1820 comprised a Superintendent overseeing a very small unit comprising only a sergeant, a writer, a jailer, and eight constables. See how the small Force coped during the tumultuous and lawless early years. The World War II left the SPF's reputation and infrastructure in tatters. Recruitment was conducted, with the setting up of the Volunteer Special Constabulary in 1946 to support the under-staffed Force. In 1948, the police emergency hotline "999" was launched. The post-war period saw the resurgence of secret society activities and the communist subversion. Singapore was rocked by a series of riots engineered by the communists, commencing a 12-year long period of Emergency. In addition to tackling crime and communism, the Force was severely tested by two new foes during this period - Konfrontasi and Communalism. Learn how police officers doubled up as mediators to keep peace in multi-racial neighbourhoods. The 1970s presented a different set of challenges that tested SPF's Capabilities as the Force embarked on adopting modern management and operational methods. This period marked the beginning of community policing efforts as the Force actively partnered the community to fight crime. We step into the 1990s with a set of improved capabilities that saw us mature as a world class force.